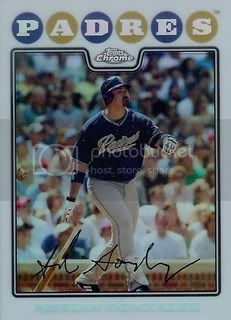 The fifth and final Refractor is of San Diego Padres first baseman, Adrian Gonzalez. Adrian is a two-time All-Star and is finishing up a terrific 2009 season. 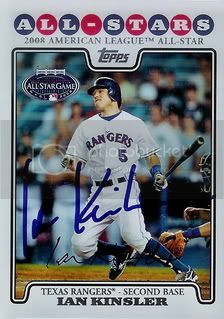 He is currently hitting .273 with 38 home runs and 98 RBIs. 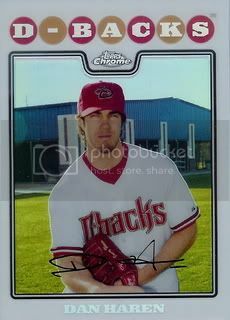 Dan Haren has been one of the bright spots in an otherwise dismal Diamondbacks season this year. 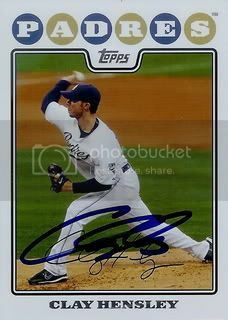 I plan to try to get this card signed but Haren does have three cards from the regular 08 Topps set that I need to get done first. 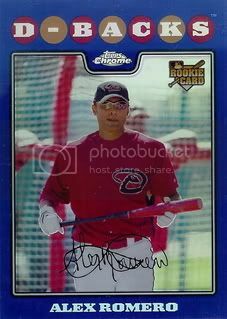 Hopefully he'll be at the DBacks Fan Fest next year. The past two years they have let you purchase up to four tickets per table per session. Maybe I'll get lucky and be able to clean up. The Xfractor. Better than a refractor? Some would say so. I am not one of them. This blue refractor of Alex Romero is another one I picked up from Sportlots.com. Alex has played in 53 games for the Diamondbacks so far this season but only has one home run. 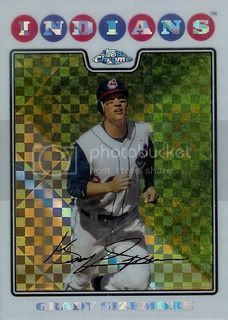 Recently I picked up a few Refractors from the 2008 Topps Chrome set from Sportlots.com. 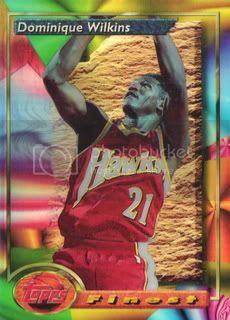 I've been a fan of the Refractor since the 1993-94 Topps Finest basketball set. It's always nice to pick up some great looking cards at a great price. More mail! I sent a request to Clay Hensley back during the first week of June. 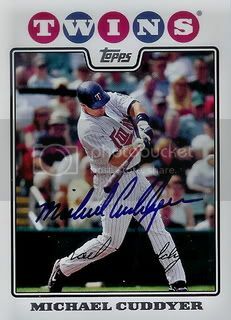 He was playing in the Gulf Coast League for the GCL Marlins. I'm not sure if he was rehabbing or what but shortly after I sent my letter I noticed he was on the New Orleans Zephyrz roster. 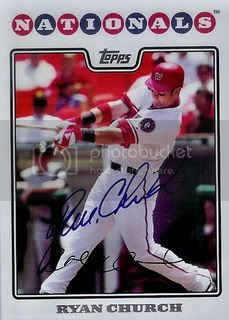 I kind of thought this one might have been a lost cause but today I received our 2008 Topps card back signed. Thanks, Clay! 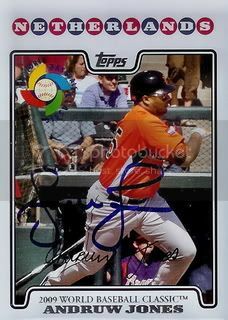 A few weeks ago, we sent a 2008 Topps World Baseball Classic insert card to Andruw Jones. Today we received it back signed. This is our third signed card from this insert set. More mail! After about a month's wait, Cla Meredith signed a card for our set. 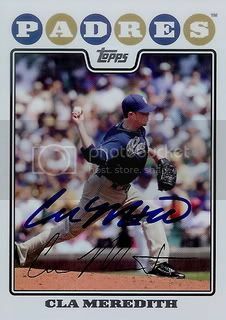 Cla began the season in the Padres bullpen but was traded to the Baltimore Orioles in July. 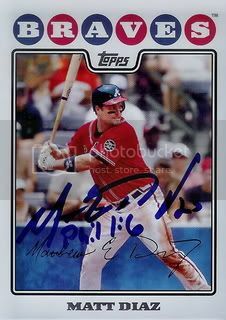 Today brought Atlanta Braves outfielder, Matt Diaz. Matt's a solid player and is on a tear right now. I think it's important to note that I recently added him to the roster on my fantasy baseball team. 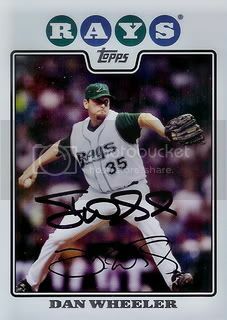 Tampa Bay Rays relief pitcher, Dan Wheeler signed a card for our set. 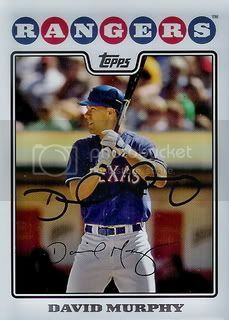 Dan's put together a pretty good career and was even the Astros closer for a short time during the 2007 season. 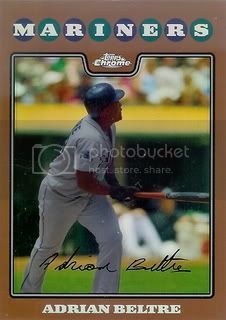 A HUGE thank you to Brian from 30-year Old Cardboard for sending a few signed 08 Topps cards for our set. If you haven't seen Brian's blog you have to check it out. His blog is one of my favorites and is actually a big reason I started this one. Brian is working on a few player collections including one of my all-time favorite players, Andre Dawson. Thanks for the cards, Brian and thanks for your dedication to your blog! Another one back from a 50/50. 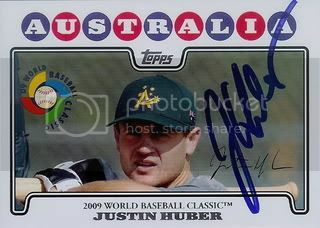 With a little help we received a signed World Baseball Classic insert card of Justin Huber signed. These don't count towards our official progress but are still very nice to have. I received a nice package from a friend on SweetSpotGraphs.com. 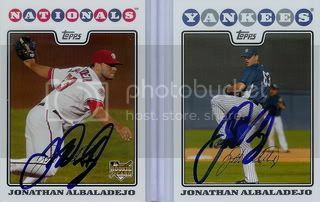 I sent him a few 08 Topps cards of Yankees pitcher Jonathan Albaladejo for my half of a 50/50 and he sent them back signed. 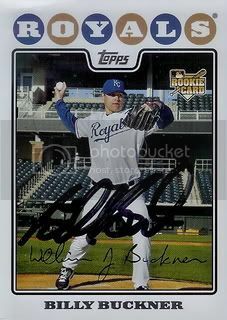 Back in May Billy Buckner signed his card from the Updates & Highlights set for us. 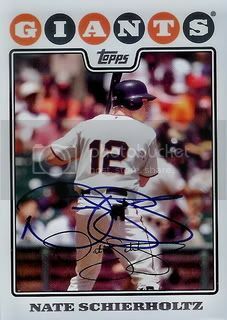 Recently we another request and got back his card from Series 1 signed as well. Thanks, Billy!